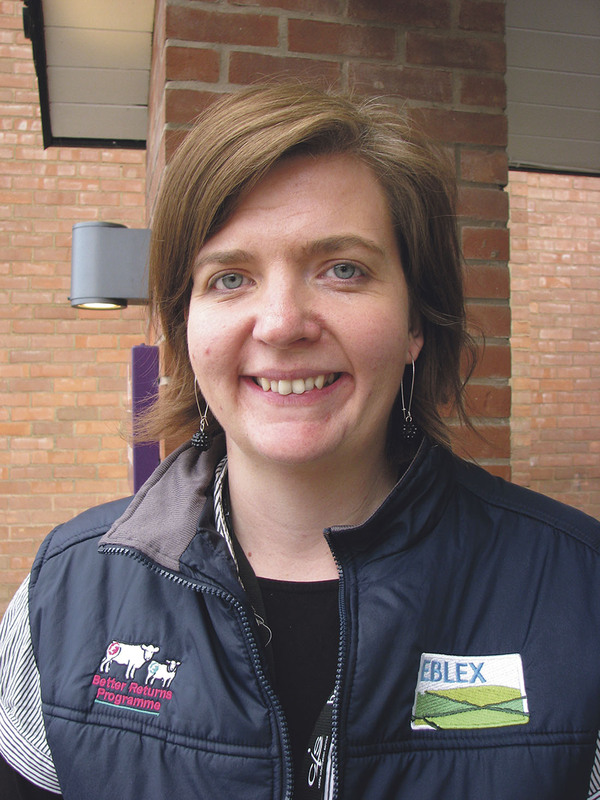 Grass growth has not been optimum for this time of year due to many parts of England experiencing a dry winter followed by the recent cold weather according to EBLEX livestock scientist, Liz Genever. 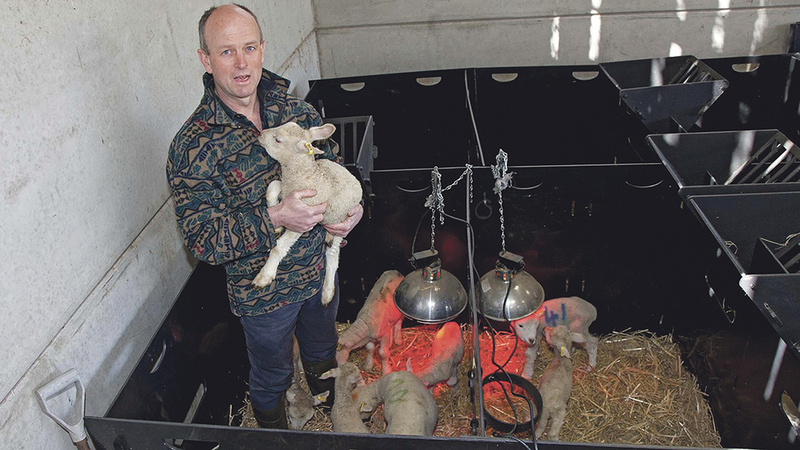 GRASS availability is currently a challenge for many producers as lambing and calving are well underway in most parts of England, says Dr Genever. “When soil temperatures reach 5°C for five consecutive days, research has shown that they continue to rise. At this point fertiliser and nitrogen (N) efficiency is optimal. Although soil temperatures are starting to get towards 5°C in the south of England, they aren’t consistent enough to guarantee grass growth. Grassland can utilise 2.5kg N/ha/day (around 2 units of N/acre/day) under ideal weather conditions. Therefore when applying N to silage ground, the amount applied needs to be adjusted depending on cutting date to ensure the grass has enough time to utilise the nitrogen applied. If not, the quality of the silage can be affected. Dr Genever says: “It is important to note that grass grows grass, so allowing grass to be grazed too low (below 3cm) and not allowing it to recover will affect future yields. The best way to avoid this problem and maintain animal performance is to offer supplementary feeds if sward heights are below 4cm. Measuring and recording grass, perhaps with a sward stick, is really important in the spring, as it will highlight grass availability and whether supplementary feeding is required. Plus it will help predict when the peak growth is starting. Angus Nelless relishes the challenge managing grass presents on the family-run Thistleyhaugh Farm, Morpeth, Northumberland which sees 390ha (964ac) managed under organic rules supporting 1500 Lleyn ewes, 120 Angus sucklers, 1500 contract reared pigs and a 6000 bird poultry enterprise. The farm area can be divided into roughly three equal categories, says Mr Nelless. A third is traditional ridge and furrow, another third permanent pasture and riverside meadow, and the remaining third improved grass managed on a seven year rotation. The challenge of managing grazing starts in autumn. Ewes are out-wintered and need sufficient nutrition in front of them at tupping in late November to maintain body condition and support the growing foetus. “We monitor standing crops with a sward stick and analyse silage quality to allocate feed accurately. For the ewes we budget on 1.6kg DM/ewe/day through to mid pregnancy and have learnt to shut up fields with a residue of 1400kg DM/ha in autumn to recover. On the cattle side bulling heifers are given priority for early grazing. The aim is to achieve growth rates of 1kg/head/day and a bodyweight of 380kgs before performance recorded Angus bulls are turned in on June 25. Most finished stock is sold deadweight across both enterprises. In addition 1100 store lambs are bought in over winter and grazed on local farms. 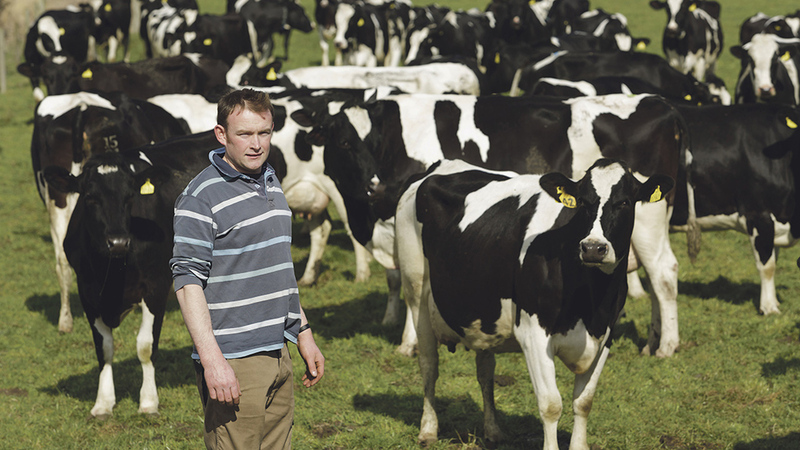 At 26 Ben Walker is a keen supporter of paddock grazing having taken on responsibility for a 160-cow Holstein Friesian herd with an average yield of 9300 litres/cow supplying Arla from J and J Salter’s family-run 345ha (850ac) Hall Farm, Attleborough, Norfolk. The way forward was autumn calving and paddock grazing. The mainly flat grazing platform occupies 68.5ha (170ac) close to the dairy buildings and 16/16 herringbone parlour. This year 24ha (60ac) of nearby grass is for the early grazers, 28ha (69ac) at the far end is shut up for first cut and will be grazed thereafter, and 16ha (40ac) is used for calves and dry cows. “We also rent 17.8ha four miles away to rear in-calf heifers. And my brother, Tim, grows 29ha of forage maize in our arable rotation,” he explains. J and J Salter is a family farming partnership. Jack and Jeanie Salter, who are life-long friend of the Walker family, invited Ben’s father, Ian, into the partnership in 1984. His wife, Sue, Ben and Tim have joined thereafter. A herdsman, Chris Mallett, helps run the dairy unit. DairyCo figures show 3100 litres (32 per cent) comes from forage of which 18 per cent is attributed to grazed grass contributing to a margin over purchased feed of 22.4ppl. 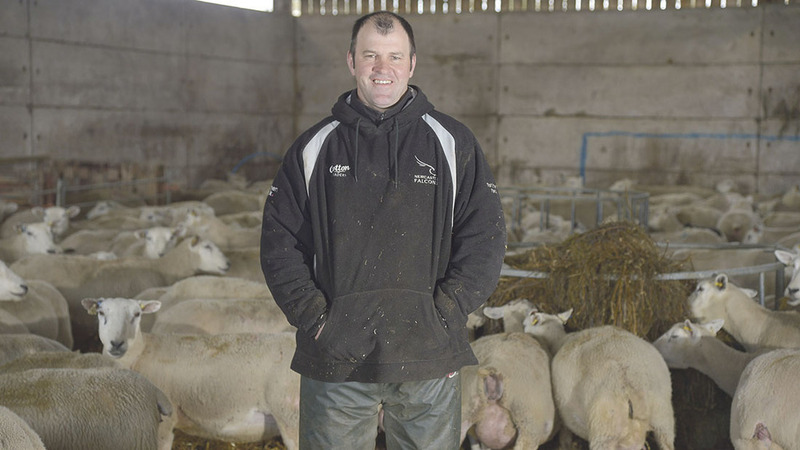 Ian Robertson runs a 1400-ewe enterprise producing store lambs at Chawton Park Farm on the North Hampshire Downs near Alton where a predominately Lleyn flock grazes 200ha (445ac) of permanent pasture managed largely within environmental schemes. “Our challenge is to make the most of fresh grass growth when it arrives within the confines of HLS and ELS limits on seasonal stocking rates,” he says. The all-grass business totalling 270ha (667ac) of owned and tenanted ground within five miles of the main holding is predominately heavy clay over chalk ranging from 120-220m above sea level and includes 17ha (42ac) of chalk ridge. 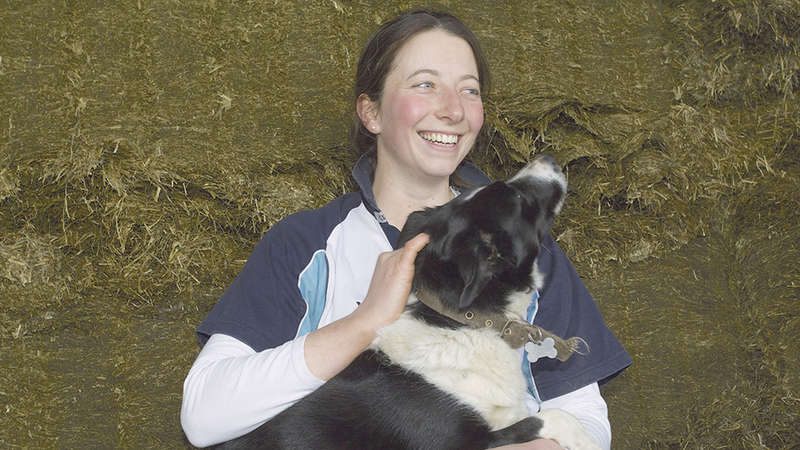 At lambing a full-time helper come in for six weeks and a student for two weeks to assist. All lambs are weighed, electronically tagged and recorded at birth. Immediately thereafter single and twin bearing ewes are moved and graze in separate groups. Lambs are weaned from August to September depending on grass growth and lamb weights. “Store lambs are sold through Ashford market in Kent in batches of 200-400 from August to November. We aim for 30kg live weight or above off grass,” he says. From October to April 600 breeding ewes have grazing allocated daily in cells to meet their nutritional needs in order to maintain correct body condition. “I’m very keen on budgeting feed and like to think I’m getting better at it,” says Mr Robertson. Winter forage for the early lambing ewes is made by a contractor who also supplies straw. There are other mouths to feed as the business has 70 red deer breeding hinds supplying a top end retailer with venison. Sophie Vance Kinnear runs a recently established autumn calving 152-cow dairy herd under contract with owners Robin and Barbara Young at the 121ha (300ac) Waterside Farm, near Dunblane, Perthshire. The unit went out of dairy production two years ago having been set up for paddock grazing with a smaller herd. “Our biggest challenge is the cows - they’re a real mixed bag of breeds,” says Miss Vance Kinnear. The herd calved down between August and November last year. Autumn calving suit’s the farm and the aim this year is to tighten the block further leading to a peak in milk production in late summer and early autumn. However, this may not suit its milk buyer - Graham’s The Family Dairy - which has recently changed contracts to level supply agreements. To accommodate the larger herd most of the paddocks have been remapped and fenced into 2ha (5ac) blocks - sufficient for a day’s grazing, she says. “A light top dressing of 75kg/ha urea has been applied in the second to last week of March to kick-start growth. Cows are giving an average of 19 litres/head/day at 4.8 per cent butterfat. The herd is milked through an 8/16 herringbone parlour. A simple ration is fed of grass silage, 3kg/head/day of prop-corn home-grown barley and a set rate of 4kg/head/day of concentrate fed in the parlour. Cows are largely housed in cubicles and despite buying in from a number of sources milk hygiene and cow health are good, she adds. SCCs of 80 are reported and the herd has been vaccinated for Lepto, IBR and is currently BVD negative.